Deciding which state may make the most sense, many companies logically look for less expensive, more business-friendly locations to relocate all or parts of their operations. However, if crossing the border is no longer an option due to penalties and political backlash, to which states should companies look when setting up satellite facilities? What are the best places for business in the United States? To view the full list of all 50 states, as well as the scores for each individual metric, visit the CNBC article page. Should your company be planning a move to a more business-friendly state, be sure to utilize an experienced relocation management company to make the most informed decision and to facilitate your mobile workforce. Global Mobility Solutions (GMS) has been a leader in relocation management since 1987, continuously delivering innovative programs and relocation technology along with award-winning customer service. 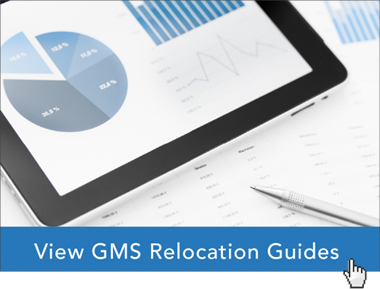 Before you move – or even develop your relocation policies – contact GMS for your complimentary benchmark study. What are the Best Places to Find a Job in the USA? What are the Top 3 Business Relocation Budget Tips?